I never tire of the gloriousness of being human. The downside of this glorious human experience is that a part of doing such means we are going to experience discomfort and pain. The secret to allowing ourselves to BE who we desire to be in the world is owning your story. In order to do this as a path to healing, we must be willing to befriend our shadows. Yes, I am talking about the painful parts. Feelings of shame, sadness, and anger. We must make peace with the times we made poor choices or were betrayed. Rather than pretend the bad stuff didn’t happen to us, you choose the path of healing by owning your story. Yes, I know, it’s easy to focus on the things we do “wrong”. Or we obsess over one single unhappy event in our life and believe that it defines us. The key to owning your story is to make the decision that our past no longer has the power to define our present or our future. By befriending our shadows, we choose to own all of our story. We find our contrasts. Yes, you may experience sadness and heartache, but when we refuse to gloss over the ways we are brave and the recognize the plethora of ways we are amazing, then that painful chapter of our story gets to be a part of our healing. And choosing to heal the wounds and love our scars? Yes, baby, that is courageous. So, befriend your shadows and find within them the traces of light, grace, love, beauty, bravery and forgiveness. Owning your story isn’t just the process of befriending the shadows and rewriting their impact of our life. It’s also understanding that you cannot change what has happened. Instead, you are choosing to heal and move forward. You are opening the way to live a happier life. Owning your story is a process of loving ALL of the chapters of your life. Your victories, your happiness, your accomplishments, your hard work, and the tiny moments of joy. Ready to choose owning your story? Here are 17 questions to get you started. Is it time to let go of the past and forgive yourself? Are there others that need to be forgiven so they don’t hold your story hostage? Are you ready to let go the berating yourself for things that happened in your past? Where are your success stories? Where can you actively focus on who you desire to be? Can unearthing your own truths assist you in owning your story? Remember, there are many shades to the truth of any life event. What victories do you need to acknowledge? How can choosing to love your scars open you to healing? Where are you failing to give yourself credit? Do you need to be reminded that you are worth the work to own your story? Did you know that love is your birthright? Is it time to stop fondling past events and putting your fears on a pedestal? Are you clinging to roles you no longer need to play? Is it time to claim new roles? How can you more boldly step into the kind of life you desire? Are you ready to commit to doing your work? What kind of support do you need for your journey? Owning your story may not always feel easy. I understand it may feel uncomfortable to do this work. It’s a constant process to love who we are because each and every day, we get an opportunity to step into a life that feels more authentic than it did the day before. To step into the new roles we are discovering as we discard the ones that no longer fit. As a coach, I am blessed with the opportunity to assist others in owning their story. As a woman, I am also doing the work to continue to own my own story. From experience, I know how easy it is to berate yourself over some of my actions in the past. Fears may arise when you seek to discover your own truth. I also know how it feels to come HOME to myself. To feel grateful for a piece of healing and find ways to forgive and love myself through the process. Darling, owning and actively participating in our own healing is courageous and a privilege. Sometimes, we just need a reminder that we are worth the effort. Do you need help owning your story? Owning your story demands diving into who you are and how your experiences have shaped your life. I can also help you take the love for yourself and your life deeper with Become Besotted. 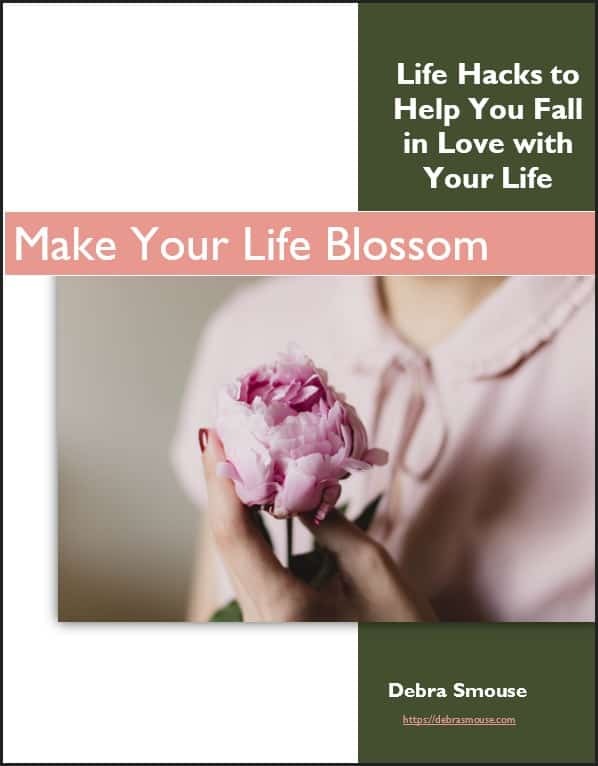 You’ll receive an initial booklet to help you evaluate – and love your current reality. Then, on the 25th of each month, you’ll receive a chapter designed to help you set doable monthly goals to create change. And, month by month, build momentum to own your story in slow, loving increments. You’ll also receive prompts to dive into loving your life as it is and writing your own life story. 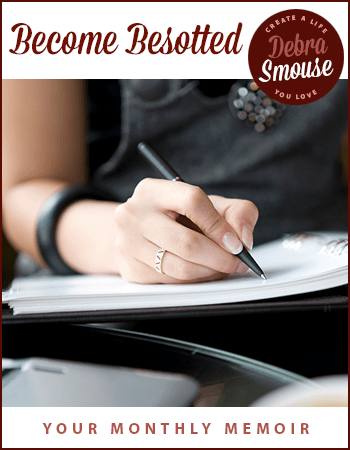 Click here to read articles that will encourage you – and give you ways – to love your life. Pinky Swear: I value your privacy and confidentiality. I will never rent, sale, or trade your information. 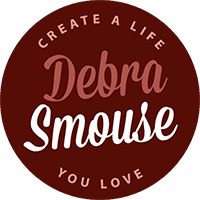 Debra Smouse © 2018. All Rights Reserved.